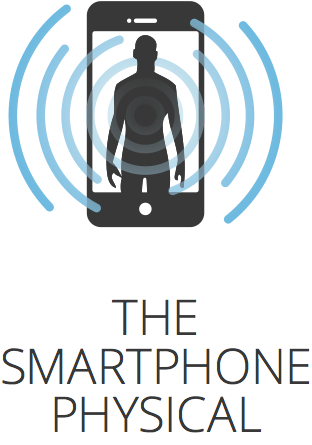 A forward thinking team of medical student-engineers has designed a checkup of the future, titled the Smartphone Physical. At this year's TEDMED, Nurture, a Steelcase brand dedicated to providing user-centered solutions in healthcare, and a leading medical technology and innovation blog, Medgadget, have joined forces with the students to showcase the Smartphone Physical, a comprehensive physical examination conducted by minimal equipment that connects to an iPhone. Together, they are embracing TEDMED's theme of unexpected connections, to provide one-of-a-kind physicals to attendees. Delegates will be offered a series of quick diagnostic tests using devices connected to an iPhone to pull patient data ranging from weight, blood pressure, oxygen saturation, visual acuity and lung function. Patients will be able to receive an overall health picture and electronic health record (EHR)-ready results from the Smartphone Physical immediately after the experience. Anonymized data and infographic depictions of the health status of participants throughout the conference will also be made available. The Smartphone Physical's team of clinicians aims to perform nearly 800 of the personal ten-minute office visits at TEDMED, geared toward the forward-minded doctor and savvy patient. The Smartphone Physical will be offered in two different spaces: The Hive, a new space debuting at TEDMED 2013 dedicated to exploring transformative innovations and inspiring entrepreneurs in health and medicine that is fully equipped with Nurture solutions; and inside the Kennedy Center on the All About You floor. At The Hive, Nurture will be hosting a real-time Social Mind Map, which will feature words from participants that describe a traditional physical examination and the Smartphone Physical experience. The Social Mind Map will be interactive, allowing attendees to compare, contrast and socially discuss the evolving landscape of healthcare. "The pervasiveness of technology is crucial to the advancement of healthcare facilities, but it will only be effective if it works in sync with the importance of the space in delivering better clinical experiences," said Rob Heitmeier General Manager of Nurture. "Today's healthcare leaders need to rethink how the environment is an integral part of the medical process and find ways to better connect people with place and technology." Johns Hopkins medical student and Medgadget editor, Shiv Gaglani led the development of The Smartphone Physical. The device selection criteria were largely based on what doctors might use in the primary care setting, but they also had to make for an efficient visit. "These devices can abstract away the mundane and standardize the unreliable aspects of the physical exam," Gaglani said. "I firmly believe that devices like these will become the standard tools of the coming generation of clinicians." Gaglani recruited a team of savvy clinicians and biomedical engineers from Johns Hopkins and other top medical centers. Mike Hoaglin, former Clinical Director for The Dr. Oz Show emphasizes that the real winner is the patient. "We're re-engaging patients with robust handheld digital devices, because they promote more personalized, data-driven decision-making at the point of care. In turn, this can save time, money and lives," Hoaglin said. TEDMED brought about the collaboration that led to the Smartphone Physical. "TEDMED's theme this year is based on unexpected connections and how they can unlock new possibilities, the coming together of these particular teams already demonstrates that", said Courtney Paige, Director of Marketing Operations. Nurture is a partnering sponsor of TEDMED and is providing the conference with innovative and leading furniture solutions for all conference spaces. For those unable to attend TEDMED this year, Nurture will be hosting three live simulcasts on April 18. The simulcasts will be featuring a live telecast of TEDMED talks and will be hosted by local experts. The simulcasts will be taking place in Grand Rapids, MI -- Steelcase University Learning Center (901 44(th) St SE) from 11am -- 5:15pm ET, Chicago, IL -- Workspring (30 W Monroe St) from noon -- 7pm CT, Palo Alto, CA -- Workspring (660 High St) from 11am -- 6pm PT. The Smartphone Physical event is open to TEDMED attendees on a walk-in basis or appointments can be scheduled in advance. For more information, visit www.smartphonephysical.org or visit the Nurture blog at www.nurture.com/blog or follow @NurtureAsks and @Medgadget using the hashtag #SmartphonePhysical. The Smartphone Physical consists of a series of screening and diagnostic tests that include: Recording heart/lung sounds using a digital stethoscope from ThinkLabs, body composition using an iHealth Scale, Blood pressure using a Withings BP Monitor, Oxygen saturation using an Masimo iSpO2, Visual acuity with an EyeNetra phone case, Optic disc visualization using a Welch Allyn iExaminer case attached to a PanOptic Ophthalmoscope, Ear drum visualization with a CellScope phone case, Lung function using a SpiroSmart Spirometer, Electrocardiogram (ECG) using the AliveCor Heart Monitor, Blood vessel visualization using a Mobisante ultrasound probe. The Smartphone Physical is the first large-scale demonstration of a series of smartphone-based devices that provide clinically relevant information. These devices are capable of collecting both quantitative and qualitative data, ranging from simple readings of weight and blood pressure to more complex readings such as heart rhythm analysis and visualization of the back of the eye. The Smartphone Physical hopes to provide a unique window into what patients may see in their clinicians' exam rooms in the not-too-distant future. Nurture(R) by Steelcase is a company dedicated to providing user-centered solutions in healthcare. Nurture views the healthcare environment as an integral part of the healing process and provides holistic solutions that focus not only on product, but space as a whole, delivering research-driven, evidence-based solutions to complex problems in healthcare environments. For more information on Nurture please visit www.nurture.com. TEDMED, LLC is an independent organization operated under a special license from the nonprofit TED conference. TEDMED is the world's only TED-licensed event focused solely on innovation and breakthrough thinking across all of health and medicine. TEDMED 2012 featured 71 preeminent leaders in health, medicine, science, technology, business, government, academia, media and the arts, who spoke before a sold-out audience of more than 1,600 Delegates. Jay Walker has served as the Curator of TEDMED since 2011. Walker is also the founder of Priceline.com. For more information, please visit www.TEDMED.com. Medgadget is the leading medical technology and innovation blog. Founded in 2004, it receives over 2 million visits each year. Its editorial staff comprises a group of experienced MDs and biomedical engineers. www.medgadget.com.